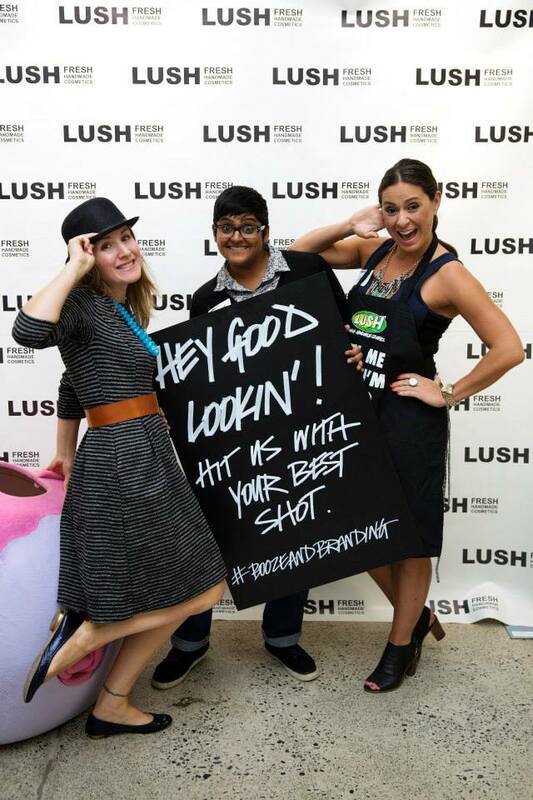 Lush Fresh Handmade Cosmetic holds “Booze and Branding” event in B.C. 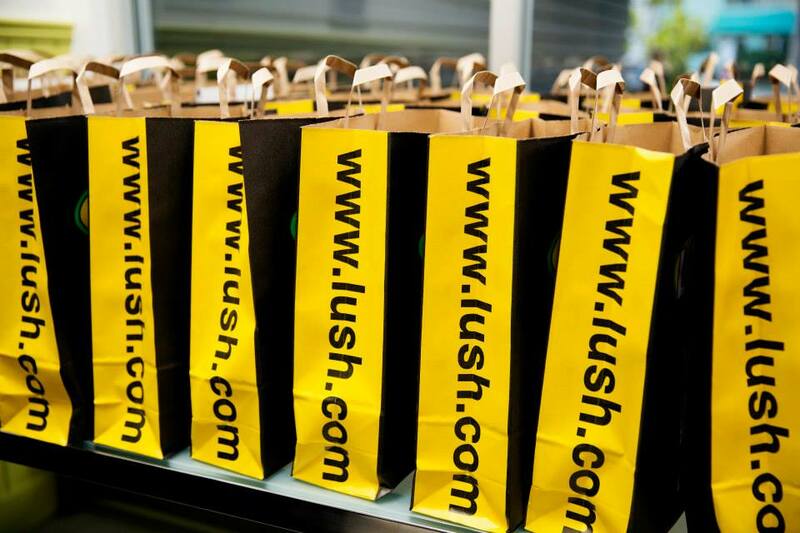 The Vancouver headquarters of Lush Fresh Handmade Cosmetics recently moved to a brand new location in Vancouver! Now they are a one-stop shop that houses all of their departments (including production and packaging) under one roof. 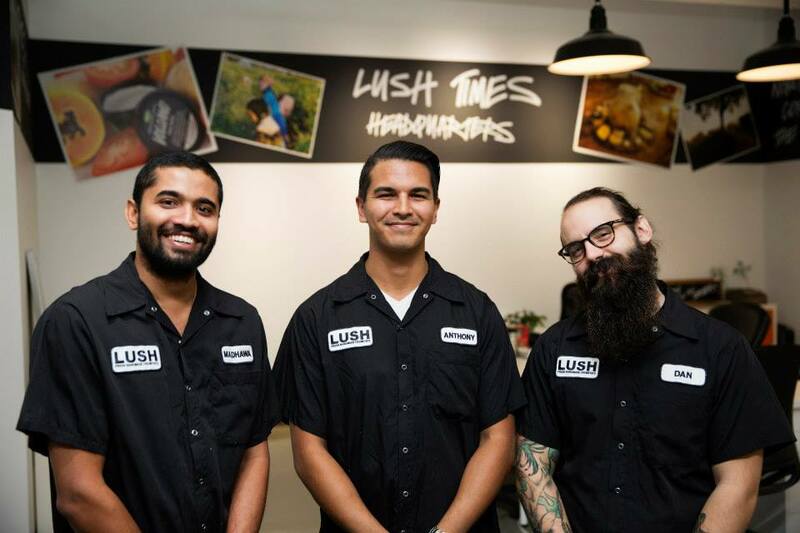 During a conversation I had with Zeba Manki, Talent Resource Manager at the Lush head office, she explained how the Lush team was so excited to have moved into a new space, and just had to share it with their others. 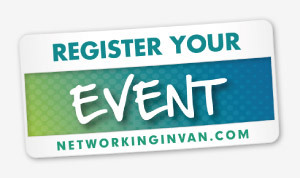 The idea to host an event grew organically within the branding department, and they used social media to invite their audience to a “Booze and Branding” evening on Thursday, September 25th. 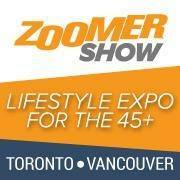 Now, it's not an overstatement when I say this was one of the most organized and welcoming events I have ever been to. Guests were greeted at the front door by friendly Lush staff with a name tag and a glass of champagne. After returning smiles and making brief introductions I rounded the corner to enter a Lush Cosmetics brand haven. From taglines on the walls to hand massage and bath bomb making stations, trays of wine and nectar juice, colourful vegan appetizers, an awesome photo booth, (yes, that’s me in the pink bath bomb costume!!) and friendly, passionate, intelligent people, I got the sense of what Lush was about in under 60 seconds. Now if that’s not good branding…I don’t know what is! Through networking with other attendees and the Lush staff, I learned that the company’s reason for re-location was largely due to their desire to create an environment more conducive to collaboration and creativity. With their new space Lush designers, videographers, accountants, brand managers and product designers can now all work in the same building. Based on my experience, having all company departments together in the same facility is a recipe for success. I’d like to extend a special thank you again to the Lush team for hosting a wonderful event where I am sure many connections and new relationships were made. Lush is also hiring! 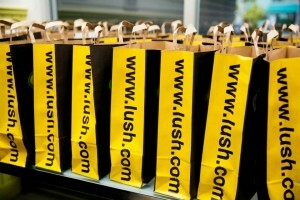 Check out their website here for current job postings: http://www.lush.ca/Careers-at-LUSH/. Chelsie Aichelberger enjoys working in a fast-paced, dynamic marketing and communications role. 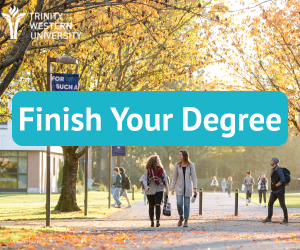 Currently, she is the Marketing Manager for the North American division of Vector Aerospace – a helicopter maintenance, repair and overhaul company. At Vector Chelsie develops and implements annual marketing plans and is involved in high-level strategic planning to help Vector reach its company goals. Born and raised in Victoria, BC, Chelsie loves the outdoors whether she is hiking, camping, surfing or on a long distance run. Let’s Hear It For The Moms!